One of those things I really like, are RGB-Leds. Especially if you can control them with a computer. My first project with them was a hacked Ikea "DIODER"-lamp, which still lights my desk today. It has several nice features, one of them being the alarm clock. In the morning, the lamp simulates the colors of a rising sun, so I have my own sunrise, whenever I want. 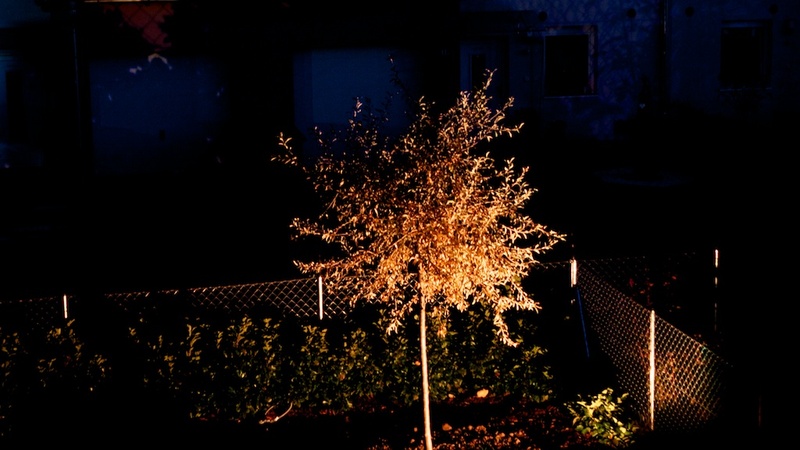 In the summer my Dad and I had the idea, to light our little tree up, so we could see it when sitting outside. But we didn't want one with a fixed color, nor did we want a RGB one with those complicated remote controls. What we wanted, and finally have, is a RGB lamp under the tree paired with an Arduino in our garden shed and some Ethernet wiring. So, our "Blinkentree" is powered by an Arduino Uno in our garden shed with an Ethernet-board. To three of the PWM pins the RGB lamp is connected. The lamp itself is located under the tree. It is powered with normal 230V AC. Of course, we didn't have Ethernet in our garden shed, so we used a PowerLan adapter to bring internet to the Arduino. The Arduino runs a small webserver which in turn provides you with a small mobile application. 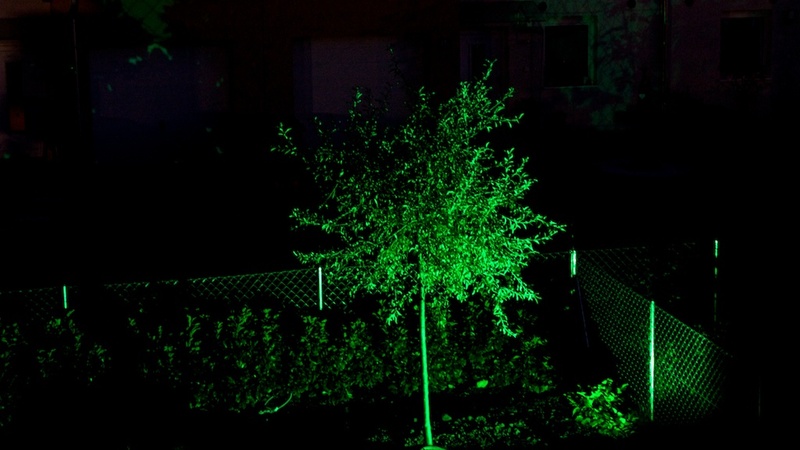 With this Application you can control the brightnes of each color and the overall brightnes (this is, because we discovered that a 10W led is really, really bright…). I am really pleased how the project turned out, and we are also thinking about installing some other lamps, as they really enhance the ambiente when you sit on your terrace in the evening.